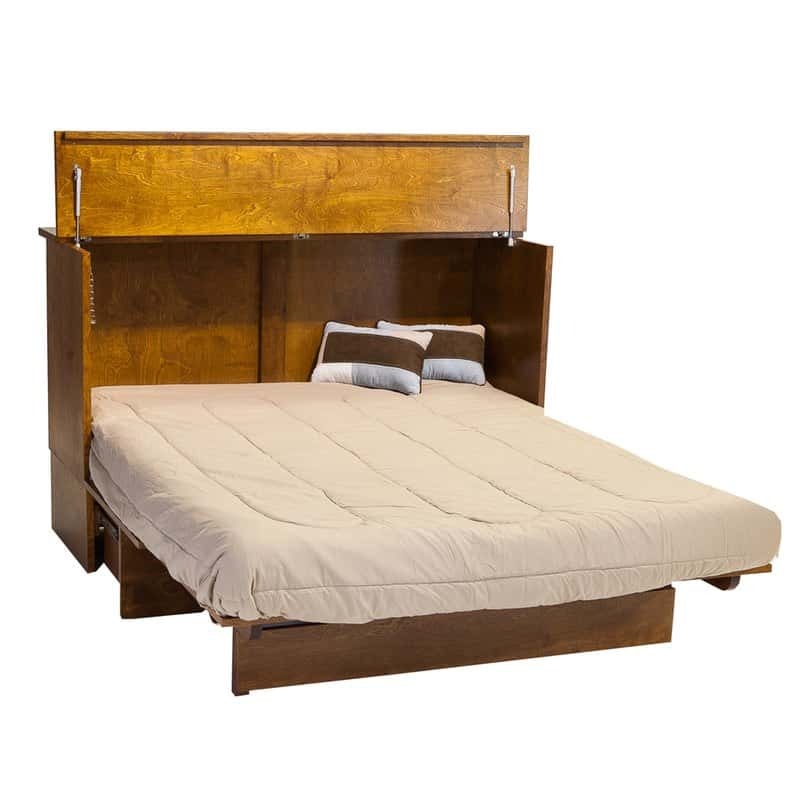 Categories: Beds, Cabinet Beds Tags: cabinet bed, cabinet beds, Murphy Bed, sleep solution, Small sleep space, Sydney, twin, wall bed, wallbed, West Wind Brand: CabinetBed Inc. The Harrison Cabinet Bed is a miracle in cabinet bed engineering. One minute it’s a handsome cabinet or TV console, the next it’s an instant bedroom! This Queen Size bed is available in 2 finish options. We show it with the Sand Stain. The new Cottage hardware looks great on this design. 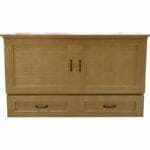 The Harrison Cabinet Bed also has large front drawer that serves as the foot board too. This drawer has plenty of room for blankets, quilts, and pillows. 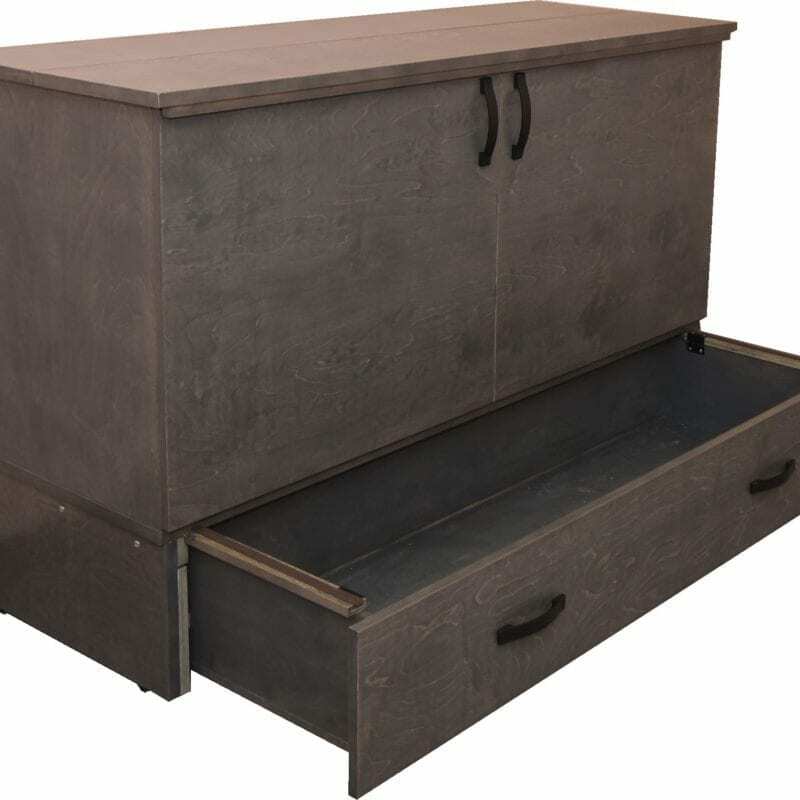 This drawer can hold up to 500 pounds! It’s the exact same mechanism as the Stanley with a detailed front and the NEW Urban handle. Our premium mattress is certified safe by CertiPur-US. Includes a machine washable bamboo cover. 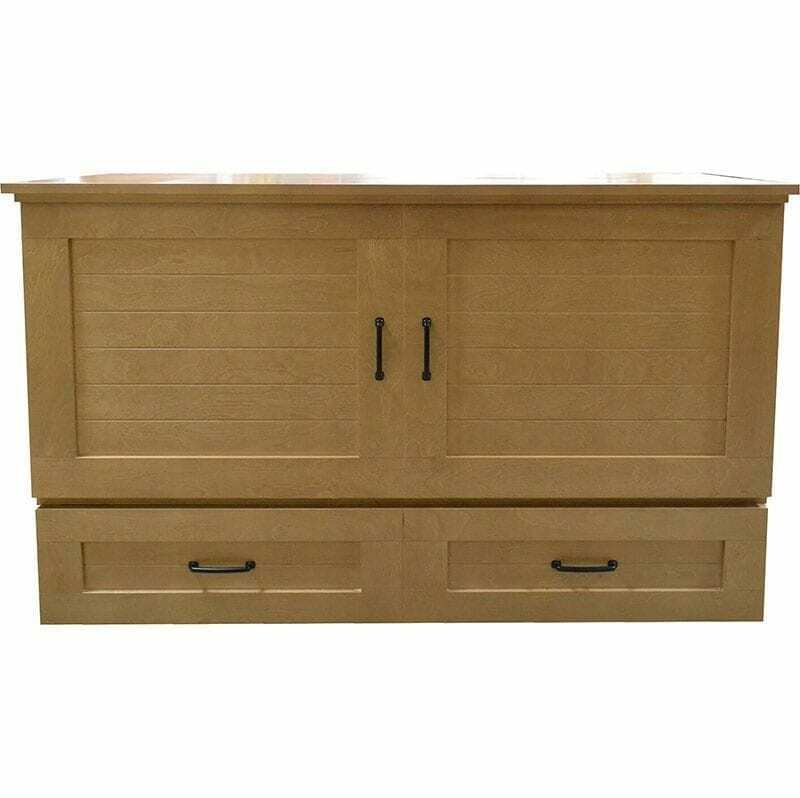 The Harrison Cabinet Bed contains no toxic and environmentally harmful MDF or particleboard. 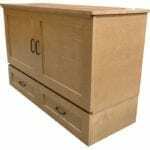 Only American Lumber is used the making of Cabinet Beds. The Harrison and Cottage models look identical but the Cottage comes with an upgraded mattress and has nine different finish options whereas the Harrison only has the two. The Cottage also has a choice of premium hardware options.